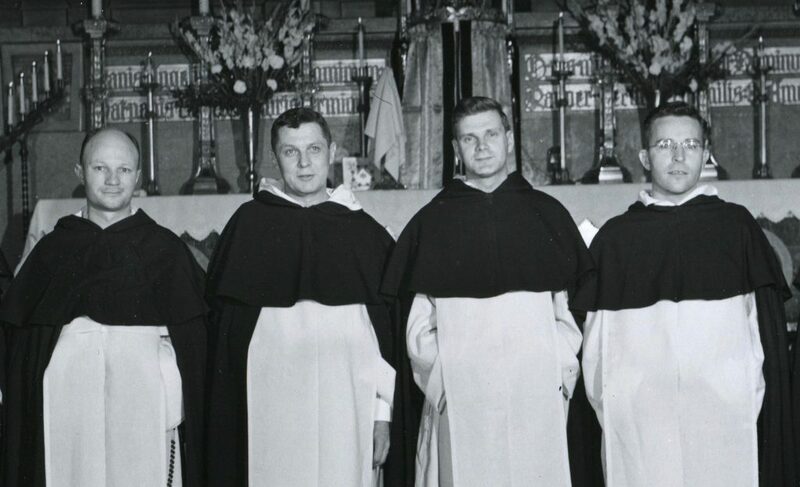 Since 1914, members of the Deserving Poor Boys’ Priesthood Association have helped young men answer the call of Jesus Christ to become Dominican priests. Today, with over 70 young men in formation, the Province of St. Joseph has the fastest growing men’s religious vocations program in the United States. With the help of generous donors like you, the Deserving Poor Boys’ Priesthood Association is answering the call of our St. Dominic in the 21st century. Why Help Young Men Become Dominican Priests? All that we have is God’s. Your gift is a concrete expression of your spiritual dedication, a “living stone,” set on the foundation laid by St. Dominic to build up a spiritual house capable of offering acceptable sacrifices to God. Through membership in the Deserving Poor Boys’ Priesthood Association, we invite you to make your spiritual home with the Dominican Friars of the Province of St. Joseph and to share in their divine work at the altar, in the pulpit, and in the confessional. In 1928, the Deserving Poor Boys Priesthood Association received official recognition from Pope Pius XI, who granted its members a plenary indulgence, under the usual conditions, to be gained annually and in the hour of death. By joining the Association, you can receive this indulgence and reap the spiritual benefit of regular masses and prayers offered by the priests of the Province of St. Joseph. A deceased Catholic friend or relative can also be enrolled. You can donate to the Deserving Poor Boys Priesthood Association by using the secure donation form below. After you make your donation, you will be redirected to a page where you can enroll yourself or a loved one in the Priesthood Association or Purgatorian Society. To request more information, contact Fr. Gabriel Gillen, O.P., at director@dominicanfriars.org or by calling 212-535-3665. After completing your donation, you will be redirected to a page where you can enroll in the Association.